Light & Darkness Radio: Featured Today! "EToS, Edenbridge..."
Today L&D bring you a new Edition of "Featured Bands" before that I want to thank you all for being with L&D this far, are you ready now? Here's Today Featured Bands!! 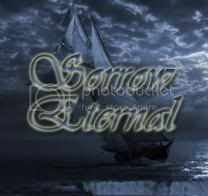 Eternal Tears Of Sorrow (FI) - The story of Eternal Tears of Sorrow begins in a Northern Finnish town of Pudasjärvi in the late 80s when Jarmo Puolakanaho (guitar) and Altti Veteläinen (vocals and bass) started writing music together. Their first band was Andromeda that recorded the first demo in May 1992. During the next two years, Andromeda gradually became Eternal Tears of Sorrow whose third member was Olli-Pekka Törrö (guitar). After two demos, the band got their first recording deal with X-Treme Records, an underground record label based in Gothenburg, Sweden. "Sinner‘s Serenade" was released in 1997. In 1998, the band recorded their second album "Vilda Mánnu" that was released by Spinefarm later that year. Shortly after their first Finnish tour, Olli-Pekka left the band and EToS got three new members: Pasi Hiltula (keyboards), Petri Sankala (drums) and Antti-Matti Talala (guitar). 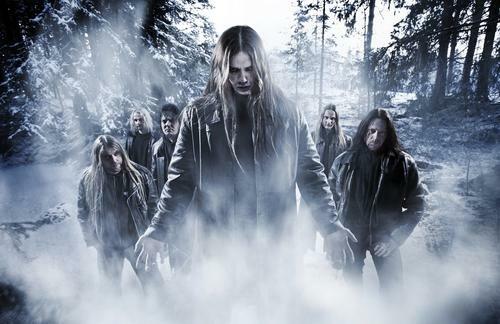 With the new line-up, the band recorded "Chaotic Beauty" that was released in 2000. With this album, EToS got their first European tour, almost two months in nine countries with Nightwish and Sinergy. After the tour, the band entered the studio to record their first single "Last One for Life", with Antti Kokko replacing A-M Talala. Some months later, it was the time to record the fourth album "A Virgin and a Whore" that was released in late 2001. At this point, the members of the band were tired with the band and all the hurries and demands, so each member wanted to do everything else for a while. Their final gig was in Oulu in summer 2001 supporting Megadeth. In early 2002, it was told that the band was having a long break and one year later, the band announced to have been split up permanently. However, in summer 2004 Altti and Jarmo started talking about the resurrection of the band. By the end of the year, the band was ready with two more members (Janne Tolsa - keyboards, Risto Ruuth - guitars) to record their fifth album "Before the Bleeding Sun" that was released in 2006. After doing the first live shows since 2001, the band was ready to write material for the darkest and heaviest album for a long time. In 2008, the band recorded their second single "Tears of Autumn Rain" after which their longtime drummer, Petri Sankala had to leave the band, Juho Raappana replacing him. In addition, Jarmo Kylmänen (vocals), who had been in the EToS song-writing team since 2005, joined the band as an official member. Just before the mixing session, Risto Ruuth left the band and was soon replaced by Mika Lammassaari. "Children of the Dark Waters" was finished and released in the spring of 2009. A new single, "Tears of Autumn Rain," was released in Finland and Japan as well as on the band's MySpace page. The other track on the single was a rerecorded version of "Vilda Mánnu" from their second album. "Children of the Dark Waters" album charted at #19 at the Finnish Album Top 40 charts.Currently, the band is finishing their tour and starting to prepare for their seventh album, to be released in early 2012. Edenbridge (AU) - Edenbridge was founded as a studio-project by guitarist / keyboarder Lanvall, bassist Kurt Bednarsky and vocalist Sabine Edelsbacher. By the entry of drummer Roland Navratil the line-up was completed for the production of their debutalbum Sunrise In Eden. The recording of Sunrise In Eden took place in the Seagull Music Studio of sound magician Gandalf. In the same year Edenbridge signed a worldwide deal with the German label Massacre Records. The CD was mixed in the House of Audio studios (Vandenplas, Pink Cream 69, D. C. Cooper, Axxis) by Dennis Ward (Pink Cream 69). The impressive artwork of the CD was created by Markus Meyer, who also painted the last two Nightwish covers. The album was released on the 25th of September. In February Georg Edelmann joined the band as a second guitar player. In November/December Edenbridge supported their label mates Axxis and Pink Cream 69 on European tour. Georg Edelmann left the band due to other job persepectives in January and was replaced by Andreas Eibler. Sunrise in Eden was released in all important markets of the world (Japan, Korea, Taiwan, South America, North America). In July began the recordings for the second CD Arcana in the House of Audio studios in Germany. In August "Arcana" was mixed by Dennis Ward. Arcana was released on the 19th of November in Europe. In May Edenbridge were touring Europe for 3 weeks together with Metalium (Germany, Switzerland, Spain, Netherlands, Norway, Sweden). Right after the band flied over to Korea for a show on the "International Busan Rock Festival" in front of 20.000 fans and a co-headliner show together with Sinergy in Seoul. Kurt Bednarsky left the band right after the tour. Andreas Oberhauser was replacing him for 2 shows in Summer. A tour through Brazil was cancelled in the last moment caused by a heavy economic crises. In November the 3rd album "Aphelion" was recorded in the House of Audio Studios together with Dennis Ward. Edenbridge is on European triple headliner tour together with Trail of Tears and Sirenia (Austria, Germany, Switzerland, Netherlands, Belgium, Spain). One show takes place at the Summer Breeze Festival in front of thousands of fans. Mike koren is supporting the band on bass. Edenbridge play in Russia for the first time with big success. The live album “A Livetime in Eden” with a bonus DVD is released in August. The 4th studio album “Shine” is recorded in Lanvall..s Farpoint Station studio and again in the House of Audio studio together with Dennis Ward. The band..s UK debut is happening in September with 1 show at the legendary Bloodstock festival in Derby. “Shine” is released in October followed by the single of the title track. Edenbridge is splitting with guitar player Andreas Eibler. Edenbridge are supporting Angra on their European tour together with Manticora. The band played concerts in Italy, Switzerland, Spain, France and Belgium. Martin Mayr is playinng 2nd guitar live. In October the band is starting to record their 5th studio album "The Grand Design" at "Farpoint Station Studio". "The Grand Design" is mixed at "Thin Ice Studio"/England by Karl Groom (Threshold). In April the single "For your eyes only" is released (cover version of the James Bond title song). In May "The Grand Design" sees the light of day. Robert Schoenleitner replaces Martin mayr and takes over 2nd guitar live. Edenbridge sign a new world wide record deal with Napalm Records after their previous record deal with Massacre Records has expired. In November Edenbridge are touring England. At the end of 2006/beginning of 2007 Edenbridge are touring Asia for the 2nd time having concerts in Taiwan and China. In March Edenbridge split with drummer Roland Navratil. He was replaced by Max Pointner. In Autumn the band starts the production of their 6th album called "MyEarthDream", the heaviest and most symphonic album so far. For the first time Edenbridge are working with an orchestra, the "Czech Film Orchestra". Dominik Sebastian is announced as the new live guitar player. "MyEarthDream" is again mixed by Karl Groom at Thin Ices Studios and mastered by Mika Jussila at Finnvox Studios. The release date is set for April 25. From March till May Edenbridge are touring with Rage all over Europe. In April 2009, the band announced Simon Holzknecht as their new bass player and Dominik Sebastian as a new guitar player. A few days later, on May 4, 2009, Edenbridge released Live Earth Dream, which was recorded on various concerts in 2008. Limited to 1,000 copies, it could only be ordered exclusively through their fanshop. The band announced the title of their new album: Solitaire. It was released on July 2, 2010. In February 2010 Edenbridge announced that bassist Simon Holzknecht had left the band due to personal reasons.